So while paying a handsome price for some healthy-vegan-macrobiotic-specialty sandwich (yes it had sprouts) at the LifeFood Organic retail/raw food/juice store something astonishing happened. First let me just say the sandwich was good, and if you are looking for organic supplements and vitamins then LifeFood Organic is for you. Getting back to the story, nestled in the corner of the shop is a water dispenser that upon further investigation is pretty darn cool. It converts air into drinking water. Yes, I will say it again. It converts air into drinking water. The first ever this writer has seen or heard about. Upon a little minor investigation Wikipedia failed in providing any answers – right or wrong, but Bloomberg Businessweek picked it up in 2009 and ranked in the top 25 Products That Might Just Change the World. WIRED magazine wrote a great article in 2006 that claims the Pentagon helped develop the technology to provide troops in dry conditions (Iraq for example) with water. Wherever it came from or where in the future it is going, there is a company located in Santa Monica named what else Air2Water that makes a few of these products. It is a local company and while they aren’t the only one that makes the machines, they have a few sleek designs. Searching the internet for the type of machine that is featured in the pictures from LifeOrganic didn’t turn up an exact match, and the machine had no visible product name. 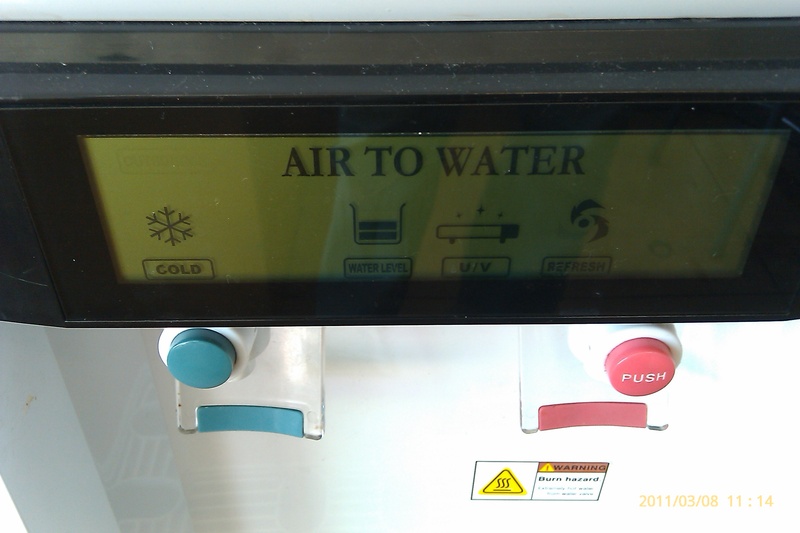 The specific machine will stay a mystery, but it looks like on average air-from-water machines do about 4 to 8 gallons of water per day for drinking. What is clearly labeled is the FDA approved sticker. L.A. the Blog tried the water and we haven’t grown a third head just yet, but the FDA symbol did make us feel better. 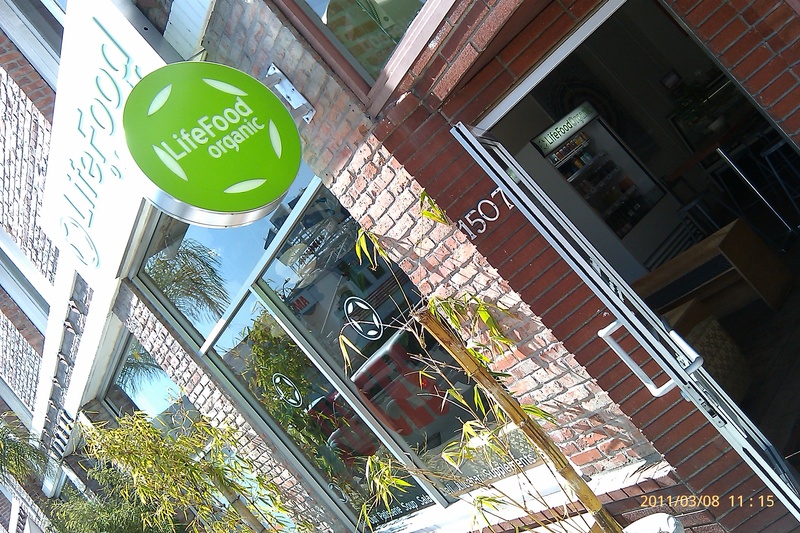 So now you have to reasons to visit LifeFood Organic – for the supplements and to stare at the magic machine. A soon to be tourist attraction in Hollywood I am sure. This entry was posted in Food, Hollywood, LA, Los Angeles, LosAngeles, Technology and tagged air to drinking water, conservation, innovation, L.A. the Blog, LA, Los Angeles, technology. Bookmark the permalink. ← L.A. the Blog: Snow in L.A.